The Armstrong Lake house is a comfortable multi-level lakefront vacation home. 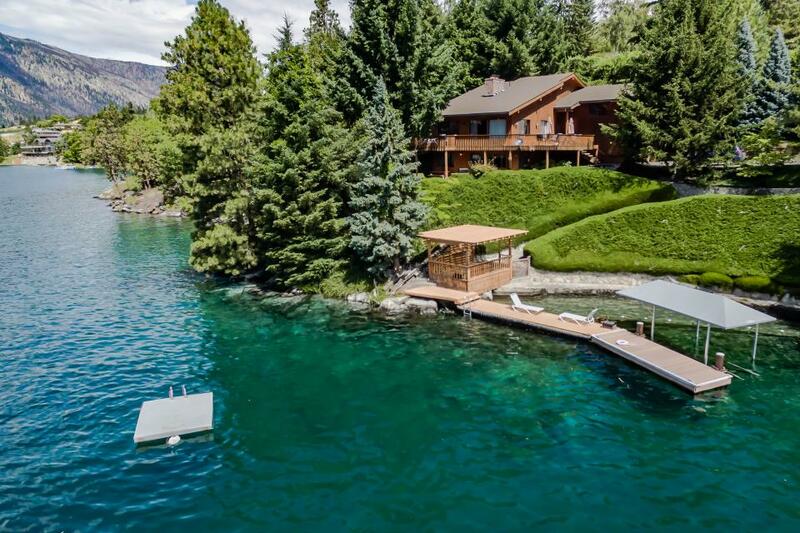 This home features beautiful lake views and multiple waterfront amenities including a private cove area with a protected sandy wading area for the kids, a large dock , moorage buoy , covered boat lift , and a ski platform with a ladder. An added bonus is a second fully equipped kitchen in the lower level. View all the room details, pictures and amenities of this terrific waterfront property. ::: ATTENTION BOATERS ::: Use of waterfront amenities during the spring , fall , and winter are subject to changing lake levels ; boat lifts & docks are not usable at low levels ; moorage buoys available at most properties, however, boaters must bring their own dingy to get back and forth from the buoy.